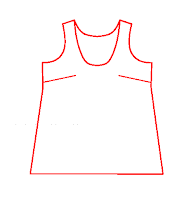 This week we are continuing making simple sleeveless tops using the basic block 1 pattern available here. 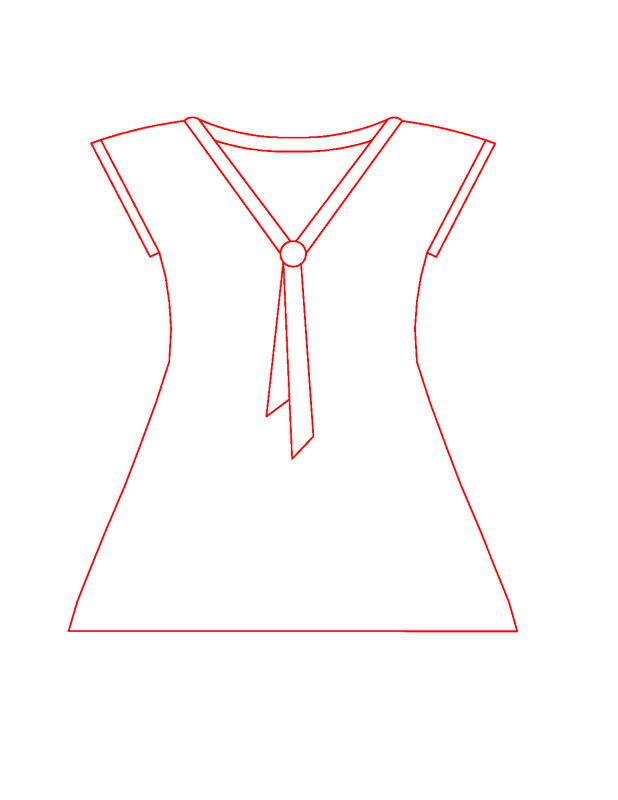 This one is another relatively simple modifications. 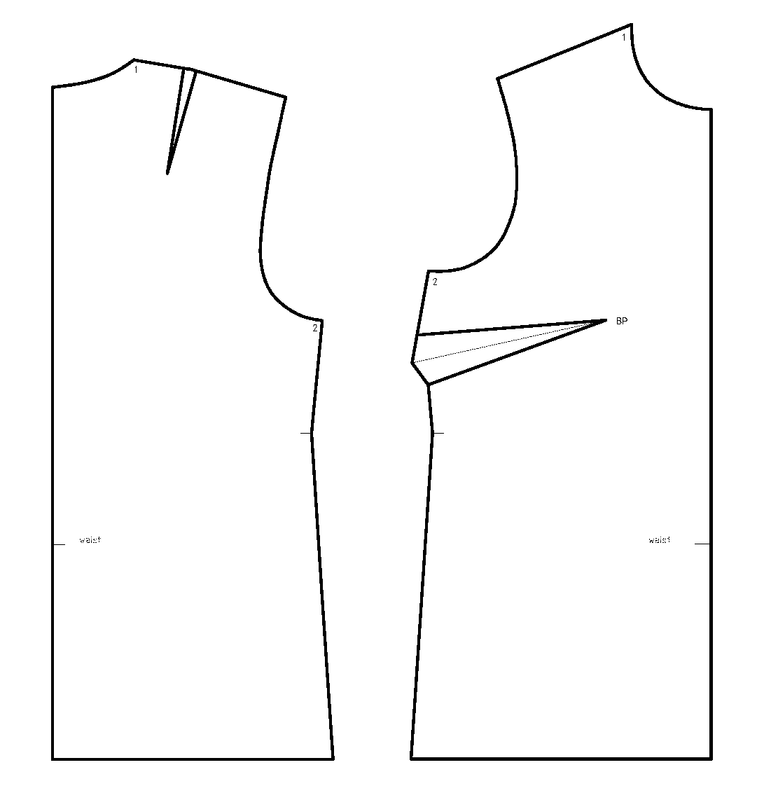 We will move the darts into the hem, to get the full A-line design, and reshape the neckline. 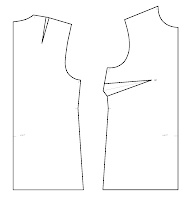 As for the sleeves... even though the sketch shows a dropped shoulder sleeve, I decided to do a french sleeve. 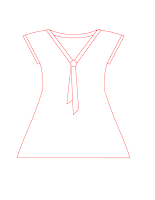 The bow collar does not need any drafting... it is a simple rectangle. 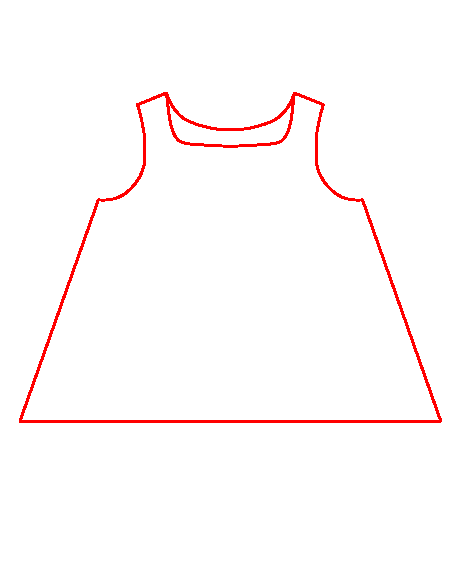 We just need to figure out how long/wide it needs to be and how to attach it to the top. That's it.